Training Centre Is DuoPly BBA Certified? Yes. 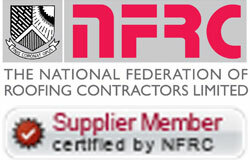 DuoPly™ EPDM holds the British Board of Agrément certificate, No. 11/4853, issued to Flex-R Ltd. The BBA carries out assessment, testing, approval and certification of products and systems for the construction industry against national requirements, internationally recognized standards or other relevant technical specifications, reviewed and reissued every 3 years. The fire ratings range in accordance with the build-up of the roof. The above build up is mainly for commercial type properties so the ratings would be misguiding for domestic type buildings. In 2005 we ran further tests on typical residential style roofs and the following ratings were achieved.